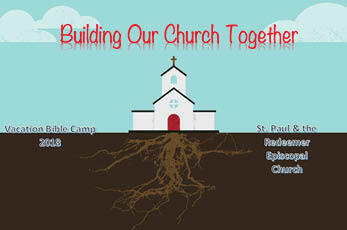 I give full permission for my child(ren) to attend Vacation Bible Camp sponsored by Church of St. Paul & the Redeemer. I agree to hold the Diocese of Chicago and Church of St. Paul & the Redeemer and any associated agencies and persons free of liability and waive any claims for payment for accident, injury, disability, or damages to the person or property of the aforementioned child(ren) arising out of or connected with his/her participation in any activity related to Vacation Bible Camp 2018. I give permission for photos taken of my child(ren) to be used for church-related communications. I give permission to leaders of Vacation Bible Camp 2018 and staff of St. Paul & the Redeemer church to secure emergency medical or surgical treatment for my child(ren) and to secure routine medical care as needed if I am not present and there is insufficient time to contact me. The registration fee is $35 per child. (If you need a scholarship, contact Monte Tugwete: tugwete@sprchicago.org). You can either pay in-PersonPay on the first day of camp using cash, check, or credit card OR mail a CheckMail a check payable to SPR and put "VBC" in the memo line. Mail to 4945 S Dorchester Ave, Chicago IL 60615.